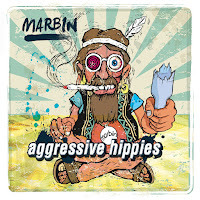 American instrumental jamband Marbin have performed over one thousand shows and sold over 20,000 album since their start in 2011. They have also recently released their fifth album, "Aggressive Hippies" back in October. This four-piece band are looking to re-capture the impact of their live sound on this latest release. This new nine-song set begins with the funky, Red Hot Chili Peppers-like rhythm of "Just Music." They keep the energy going with the jazzier touch of "Y'all Are Good" and the sax-lead adventure to the "African Shabtay." Dani Rabin goes off on the guitar solo of "Juke Joint," before the band locks into the smooth jazz fusion groove of the nearly nine-minute "Morning Star." The album closes with eight-minutes of thunderous rock in "Jambo." 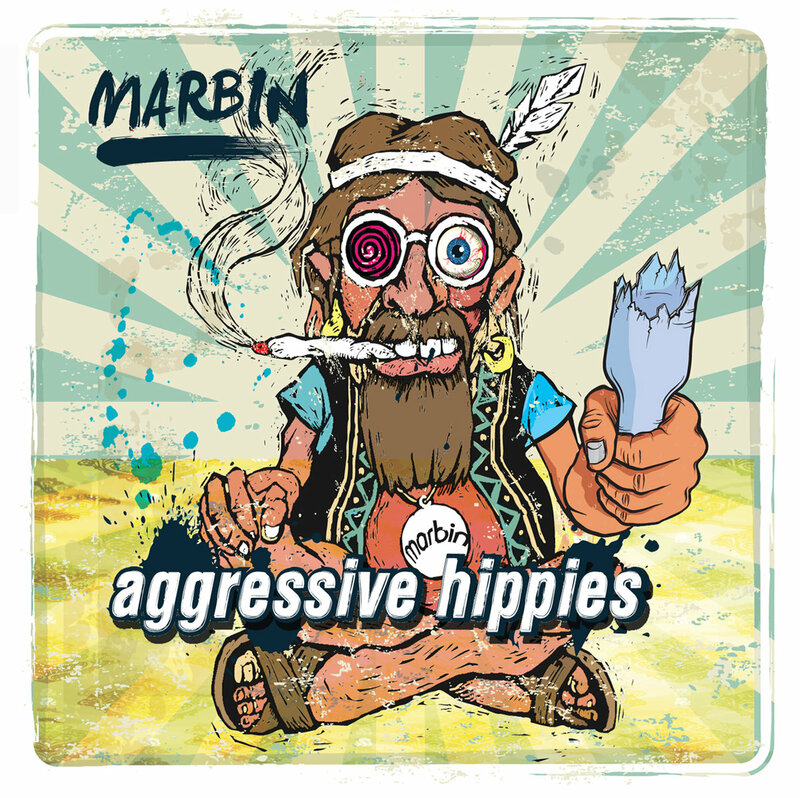 To find out more about Marbin and their latest release "Aggressive Hippies," please visit their Facebook page at facebook.com/marbinmusic. 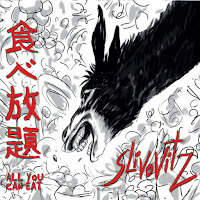 From Naples, Italy comes the return of Slivovitz with their new album "All You Can Eat." After four years, this seven-piece jazz fusion band are coming back to claim their crown as the "masters of progressive gypsy eclectic jazz." Their new eight-song release begins with steady flow of "Persian Night," highlighted by the brass duo of Ciro Riccardi (trumpet) and Pietro Santagelo (tenor & alto sax). As the band slowly draws you in with their jazz/rock sound, violinist Riccardo Villari leads the way with "Mani In Faccia." Slivovitz brings together the big King Crimson-like sound to "Passannante" then tip-toes gentle around "Barotrauma." The album finishes with the funky trip of "Currywuster" and the seven-minute jazz fusion build-up of "Oblio." 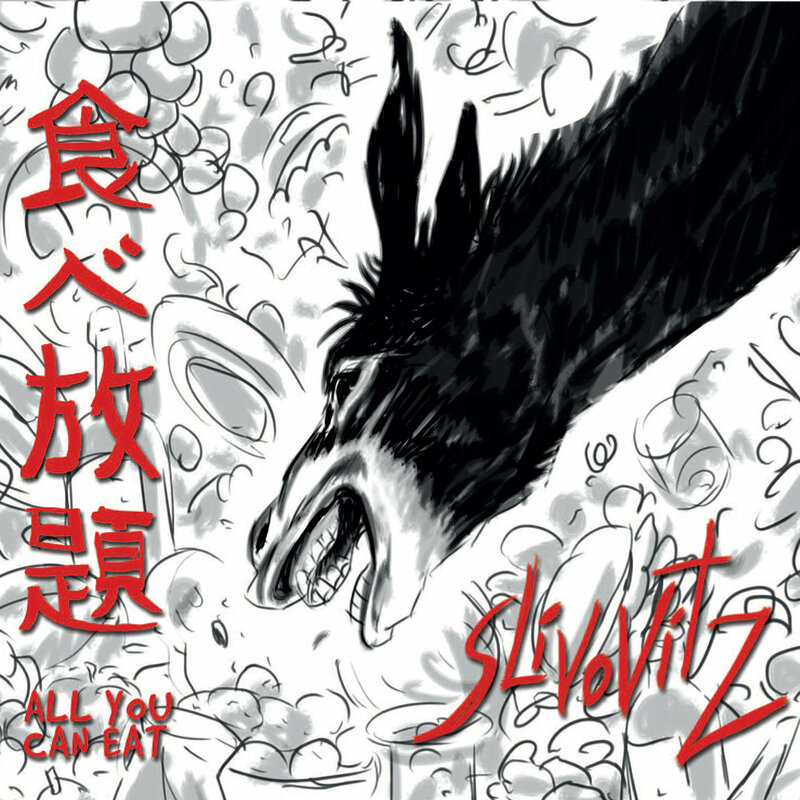 To find out more about Slivovitz and their new album "All You Can Eat," please visit their Facebook page at facebook.com/SlivovitzMusic. 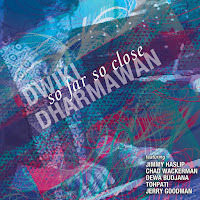 Indonesian musician Dwiki Dharmawan will make his MoonJune Records debut with a new album titled "So Far So Close." With a career that has lasted over thirty years, Dwiki finally brings his expertise and international fame to the U.S. His new eight-song album begins with Dwiki showcasing his skills on the electric piano on the seven-minute opener "Arafura." He adds some shouts of "hey" to the Pink Floydian-feel of "So Far So Close" as Tohpati ignites the fire with his guitar playing. Dwiki takes the lead on the progressive rocker "The Dark Of The Light," before combining elements of jazz/rock/funk that lead you on a nine-minute journey within "Jambrana's Fantasy." The album closes with the uplifting, atmospheric keyboards of "The Return Of Lamafa." 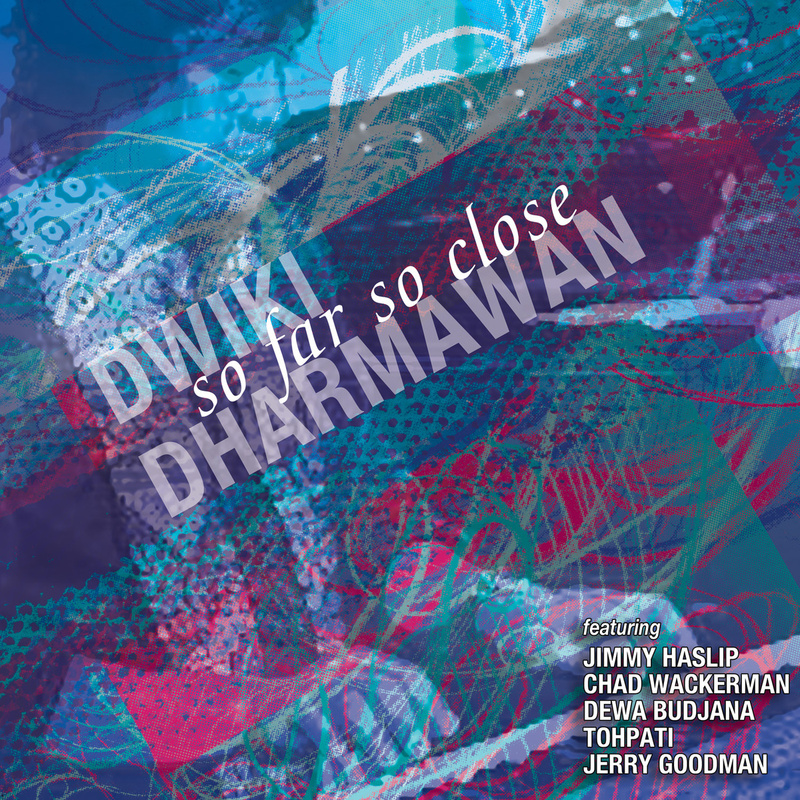 To find out more about Dwiki Dharmawan and his new album "So Far So Close," please visit dwiki.com. From Canada comes the latest release from the vocal quartet known as The Tenors. Their new album titled "Under One Sky" is their fourth in seven years as they look to continue their string of platinum selling albums. The Tenors won the 2013 JUNO award for "Adult Contemporary Album Of The Year" and their latest release combines some of the group's original compositions with cover songs. The new sixteen-song deluxe edition of the album begins with the uplifting delivery of "A New Day's Begun," before heading into their wonderfully international cover of "Besame Mucho." The quartet pours their soul into this inspirational interpretation of Bill Withers' "Lean On Me," while "I Remember You" has pop gold written all over this potential hit single. Queen's "Who Wants To Live Forever" gets turned into the epic orchestral piece that it was meant to be, before showcasing their gentle touch to Joe Cocker's "You Are So Beautiful" as vocalist Kelly Levesque pours her heart into the performance. The Tenors simply amaze you with their voices in "Nella Fantasia" and bring you back down to Earth with the dance beats of "Under One Sky." The album closes with the emotional delivery of "When Worlds Collide" and "Tears In Heaven." The Tenors are currently on a U.S./Canadian tour which runs into February 2016. 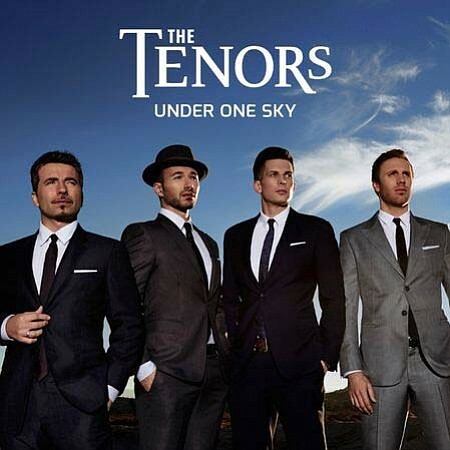 For a complete list of dates and to find out more about their latest release "Under One Sky," please visit tenorsmusic.com. 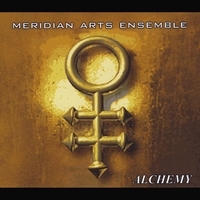 From New York City, comes the tenth studio album from the brass chamber band Meridian Arts Ensemble titled "Alchemy." It was released to celebrate the band's 25th anniversary and it explores the Baroque and Renaissance period of music. The 13-song release begins with "Gloria" from the "Mass for Five Voices" as you are put at peace with the warming tones of brass. 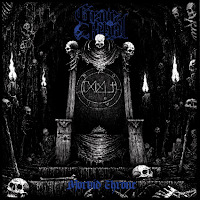 The more subtle approach of "Plorate filii Israel" displays a restrain in keeping the right tone for the song's somber mood. The enlightenment of "Sonata Pian'e Forte" showcases the band's dedication to staying true to the sounds of that era. 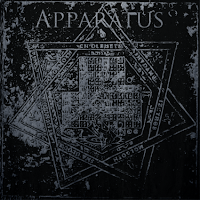 You can't help but follow the warm tones of the nearly seven-minute "The Musical Offering," before the Meridian Art Ensemble close the album with a demand of your full attention as they delivery the bright sounds of "Contrapunctus XV." The Meridian Arts Ensemble also released a live DVD of two very different types of performances. The first show is taken of their 2004 appearance at The Library Of Congress as they begin with the monumental "Fanfare For A New Theatre" from Igor Stravinsky and close with the steady delivery of Elliott Sharp's "Beyond The Curve." The second part of the DVD is taken from their appearance at the 1997 Deutsches Jazz Festival, where they stick to some of their own compositions, except for the closer "Some Skunk Funk" which shows the band's love for adventure into Frank Zappa-like experimental territory. To find out more about the Meridian Arts Ensemble, please visit their Facebook page at facebook.com/meridianartsensemble. Italian jazz drummer Tommaso Monopoli recently released his latest album "Accidental Rolling" back in September. The new nine-song album begins with the modern jazz fusion of "For Example" as Tommaso allows space for all the musicians to spread out and have their solos. They slow the tempo down for the seductive mood of "Love Love Now In Your Heart," before bringing out the funk-jazz flavor of "I Am Nobody." The band gets a little more "free form" on "Urban Jungle" then returns to the classic jazz appeal of "April Blues." The album closes with the mixed-tempo delivery of "Who Remains Not Forget" as Tommaso's drumming keeps the pace. 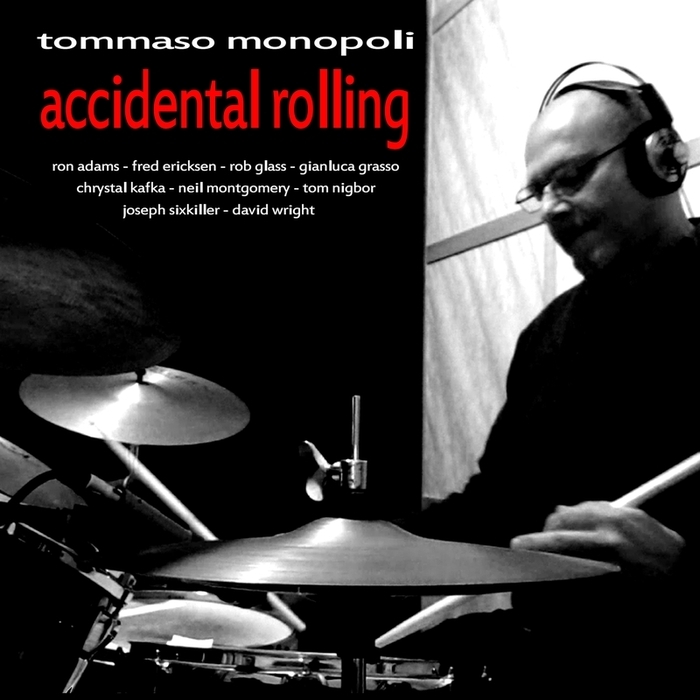 To find out more about Tommaso Monopoli and his latest release "Accidental Rolling," please visit his Facebook page at facebook.com/TommasoMonopoliDrummer. The day before Halloween we will see the new releases from heavy metal band RAM and the Metal Blade Records debut from Twitching Tongues. Brothers Colin and Taylor Young started Twitching Tongues back in 2009, but their sound was all over the place. The new album, "Disharmony" was influenced by King Diamond as the Young brothers honed their skills on the road before entering the studio for what could be the most important album of their career, so far. Beginning with the tempo changes of the title song "Disharmony," Twitching Tongues want to make sure their presence is known. They follow with the hard-hitting "Insincerely Yours" and the chugging rhythm of "Asylum Avenue." They speed things up with the thrash metal thunder of "Cannibal," before closing with with the eight-minute doom metal of "Cruci-Fiction." To find out more about Twitching Tongues and their new album "Disharmony," please visit their Facebook page at facebook.com/twitchingtongues. The new release from RAM with be the band's fourth full-length release since their beginnings back in 1999. 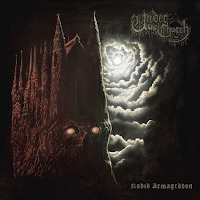 The new album titled "Svbversvm" showcases some of the band's best songwriting as they also tap the vein of King Diamond on this latest release. The album opens with the screams of "Return Of The Iron Tyrant" as the music is just electrifying. They get the blood pumping with the quick, adrenaline fueled "Eyes Of The Night" and "The Usurper," which has the perfect New Wave of British Heavy Metal vibe that can easily be compared to Judas Priest. Their sound in "The Omega Device" has a timeless heavy metal quality to it, while "The Forbidden Zone" pushes the eight-minute mark with RAM traveling into progressive metal territory. The album closes with the title-song "Svbversvm," which motors through with screaming vocals and chugging guitars. 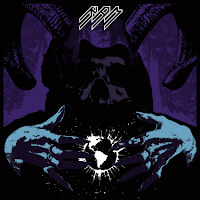 To find out more about RAM and their new album "Svbversvm," please visit their Facebook page at facebook.com/RAMheavymetal. CD Review: Magenta Sings "Songs For The Dead" And The Giraffes Practice "Usury"
From Norway comes the latest release from the industrial hard rock band Magenta titled "Songs For The Dead." At the core of Magenta is the husband and wife duo of Anders Odden and Vilde Lockert Odden. This new release is the band's debut album on Cleopatra Records and their sixth album overall. It begins with the eerie, carnival-like introduction which leads you to the heavy metal groove of "I'm Paradisum" as Vilde's vocals play off the song's dark tones. They follow with a more mainstream sound in the rock ballad "Die Young" as Vilde's voice is surrounded by the perfect musical backdrop. They return to the dark metal groove of "All Year Long," then turn to the dancefloor with the electronic beats of the album's first single "Ghost," written by Anders and Vilde's daughter, Regine. The album finishes with the magical musicianship of "Mirror" and the industrial metal buzzing of the instrumental closer "Only Death Is Real." To find out more about Magenta and their latest release "Songs For The Dead," please visit their Facebook page at facebook.com/OfficialMagenta. 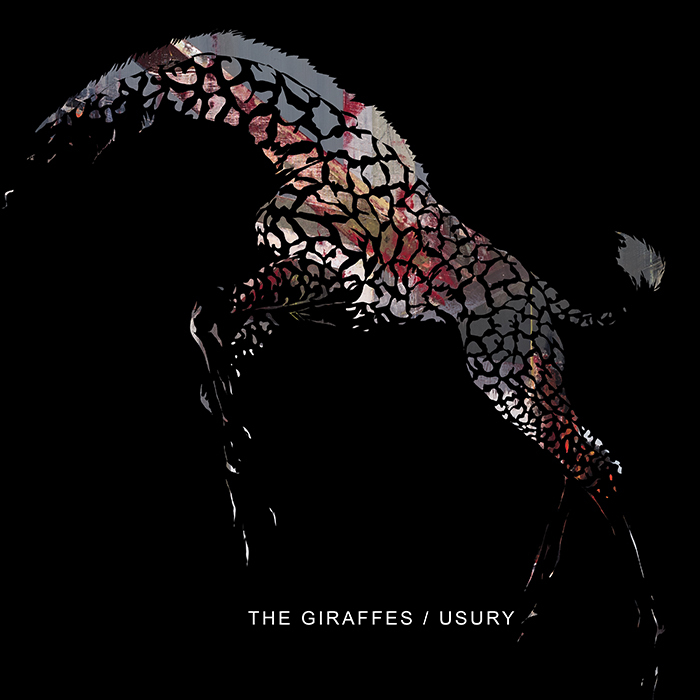 Newly formed indie-record label Silver Sleeve Records recently signed their first band, The Giraffes and recently released their new album "Usury" on October 2nd. The Giraffes have been setting the underground rock scene on fire since 1996. Their sound has elements of hard rock, heavy metal and grunge that allows their music to cross boundaries, while still staying true to their roots. The new six-song EP begins with the slow burn of "Blood Will Run" as the draw comparisons the early days of Alice In Chains. The Giraffes pick up the tempo with "Facebook Rant," while "Product Placement Song" has the big arena sound that should bring in a new audience to discover this very talented band. The album closes with the eight-minute progressive metal appeal of "How It Happened To Me." 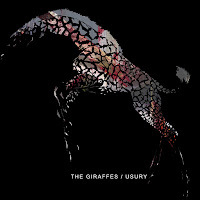 To find out more about The Giraffes and their latest release "Usury," please visit their Facebook page at facebook.com/The-Giraffes. Modern day rockabilly crooner Chris Isaak will return with his first album of original material in six years. The new album "First Comes The Night" was released through Wicked Game Records in association with Vanguard Records on October 23rd. This album follows his critically acclaimed 2011 tribute to Sun Records, "Beyond The Sun," but shows Isaak digging back to his "Baja Sessions" for some of his best songwriting in over a decade. On this new album, Isaak steps-back to his classic, laid-back L.A. style with the acoustic sway of the opener "First Comes The Night" as his voice can still warm your soul. He reminds us of his signature boogie-shuffle rhythm on the guitar blazing "Please Don't Call" and also with the hip-swinging of "Down In Flames." He swoons his way to your heart with the seductive feel of "Kiss Me Like A Stranger," before bringing out the fun sounds of "Don't Break My Heart." The album closes with the gentle country-folk delivery of "The Way Things Really Are," which will have you hitting replay as soon as the last note fades out. 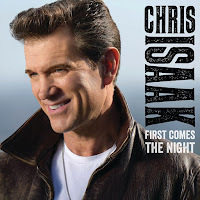 To find out more about Chris Isaak and his new album "First Comes The Night," please visit chrisisaak.com. 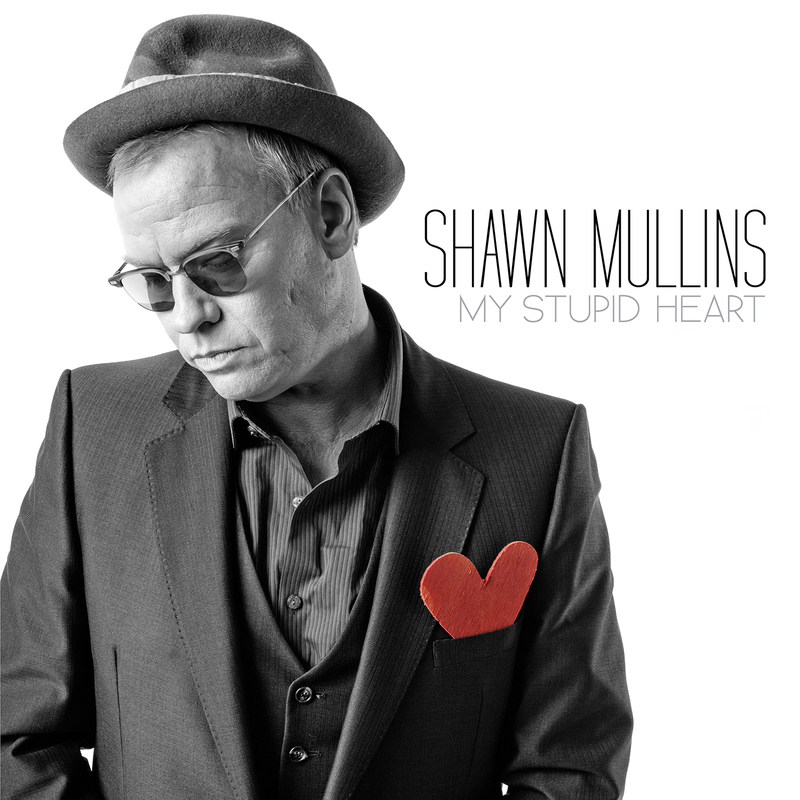 Singer/songwriter Shawn Mullins returns with his first new album in over five years. The name of the new release is "My Stupid Heart" and should easily find its way to your music playlist. It was also released on October 23rd through Sugar Hill/Rounder Records. He looks to return to his glory days of his 1998 break-through album "Soul's Core" as Mullins tries to revisit that winning formula for this new album. He pours his emotions into these new songs, as the opener "The Great Unknown" and confessional "My Stupid Heart" sound authentic because of Mullins' deep baritone vocals. He copies the blueprint of his hit single "Lullabye" for "It All Comes Down To Love" as his delivery of the lyrics is uncanny, after showing his plea for peace and unity in the explosiveness of "Ferguson." 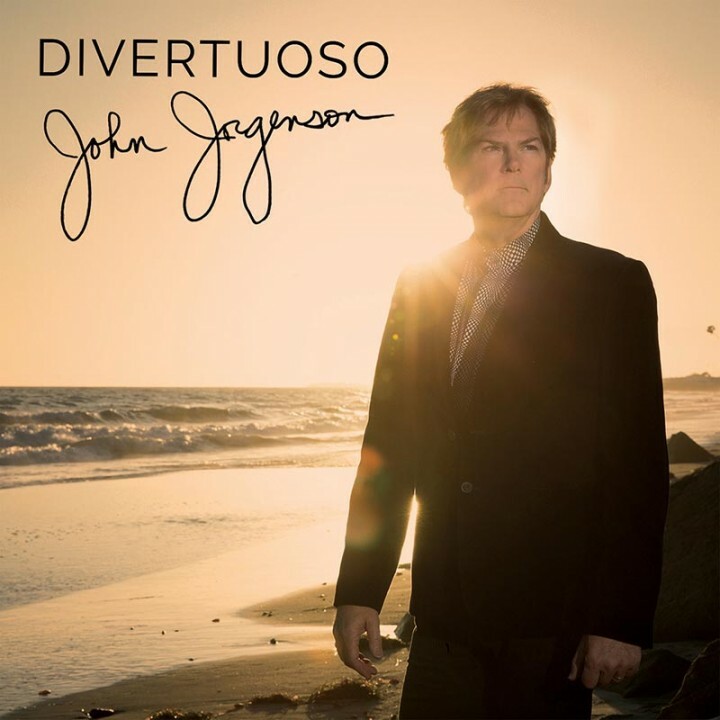 He showcases his Americana side with "Gambler's Heart" and shows us his country roots with "Never Gonna Let Her Go," before closing the album with the acoustic strumming of "Pre-Apocalyptic Blues." To find out more about Shawn Mullins and his latest release "My Stupid Heart," please visit his website at shawnmullins.com. CD Review: NRBQ's Terry Adams Goes Solo To "Talk Thelonious"
American pianist/keyboardist Terry Adams is one of the founding members of the classic rock band NRBQ. His work on the piano is unforgettable as their songs crossed many musical boundaries, while always containing that element of rock 'n' roll. Adams latest solo adventure takes him to his love of jazz music. 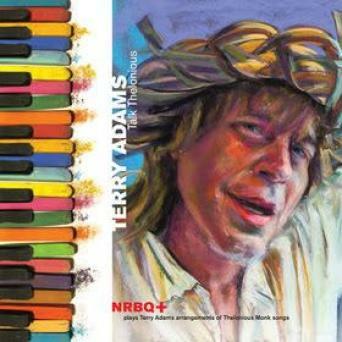 His new release, "Talk Thelonious" features a live recording of Adams with some members of NRBQ and friends (NRBQ+). Terry Adams met Thelonious Monk in 1971 at the famous Village Vanguard and requested Monk to play one of Adams' favorite tunes, "Gallop's Gallop." Since that moment, Adams has been inspired by the jazz great as he performs twelve of some of Monk's lesser known numbers at the Flynn Space in Burlington, VT in 2012. His mostly piano/organ introduction of "Reflections" shows you the care Adams put into rearranging Monk's work, while still paying respects to the song's author. The slow blues of "Monk's Mood" is full of emotion, before having some fun with the timeless number of "This Old Man." The energy in the room picks up with the great jazz rhythm of "Think Of One," before Adams showcases his skills on "Gallop's Gallop." The show closes with "Straight, No Chaser" which turns into more of an NRBQ song as Adams and his band almost wipe away the jazz aspect of it. The album closes with a studio recording of "Ruby, My Dear" which sounds exceptional with the addition of strings and horns. To find out more about Terry Adams and his new, soon to be release album "Talk Thelonious, please visit terryadams.net. Book Review: Join In The Discussion of Bob Dylan's Music With "Dylan: Disc By Disc"
There are probably several musicians that you can have a discussion about with friends and family, but probably the most analyzed musician of all time has to be Bob Dylan. His career has lasted over fifty years and in that time, he has recorded thirty-six albums and on each album is an amazing array of songs that mean many different things to different people. To prove that theory is the brand new hardcover book "Dylan: Disc By Disc." It features a "round-table" discussion about every one of Bob Dylan's albums and what the lyrics of his songs may or may not mean in the concept of life to every individual. Author Jon Bream has gathered together authors, teachers, radio hosts, magazine editors and fellow musicians to give their insight into which Bob Dylan albums have the most importance in their lives. Bream divides the group into pairs of two and asks the important questions that may be on everyone's mind like "how important is this album to you" or "what meaning does this album have in your life?" The book is divided into chapters for each album, beginning with his self-titled debut album all the way to his 2015 release "Shadows In The Night." Bream does a masterful job with the questions to begin lengthy discussions on the importance of Bob Dylan's "Freewheelin'" album and what Bob Dylan may have been thinking when he made "Slow Train Coming." While many of Dylan's hit albums have been over analyzed, it's nice to get perspective on his more recent releases like "Tempest," "Together Through Life" and even "Christmas In The Heart." Reading this book from beginning to end shows the growth in the impact that Bob Dylan had in music and the concepts of everyday life. But, the nice thing about this book being broken up by album chapters is that you can skip around to some of you favorite albums to see another people's perspective from some that have been in the music business or have developed their own theories to the meanings behind the songs. After reading this book, you may even look at some of Bob Dylan's album in a different light that you may not have thought about in that way before. 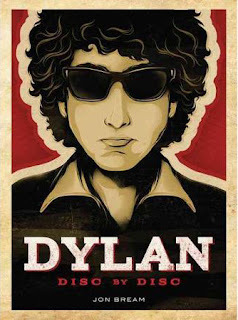 "Dylan: Disc By Disc" was published on August 1st through Voyageur Press. It contains 240 pages and tons of never before seen photos of Dylan through the years. To find out more about this must have for Bob Dylan fans, please visit quartoknows.com. 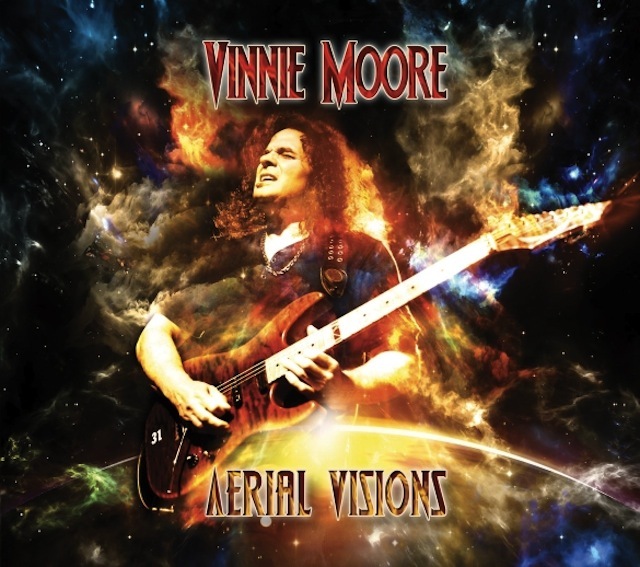 CD Review: Vinnie Moore Showcases His Guitar Skills On "Aerial Visions"
Guitarist extraordinaire Vinnie Moore will be releasing his new solo album "Aerial Visions" on October 23rd. It is his eighth solo album and the first one of new material in six years. Moore used a Pledge Music account to fund his latest release, which allowed fans to be more involved in the creation and distribution of the album. Plus, 10% of the money raised for this album will go toward the St. Jude Children's Research Hospital. The new ten-song release begins with the up-tempo romp of "Mustang Shuffle" as Moore does not need vocals to portray the song's emotion. He heads into overdrive with the metal groove of "Now's The Time," while "Slam" has a vintage eighties hard rock sound. Moore does a masterful job with his take on ZZ Top's "La Grange" as Moore's guitars blast through the song's driving rhythm. He slows the tempo down with the bluesy "Looking Back," before finishing things up with the seven-minute epic touch of "A Million Miles Gone" as Moore also shows his skills on the acoustic guitar. Vinnie Moore will be hitting the road at the end of the month with UFO for a two-month tour of Europe. For a complete list of live dates and to find out more about his new album "Aerial Visions," please visit vinniemoore.com. CD Review: Billy Gibbons Releases His First Solo Album And Its "Perfectamundo"
Singer/songwriter/guitarist extraordinaire Billy Gibbons has been in the music industry since the late-1960's, starting out as a roadie for the late, great Jimi Hendrix. Now, after 40 years, Billy Gibbons will be releasing his debut solo album "Perfectamundo" on October 23rd through the Concord Music Group. Stepping away from his rock/blues roots which he excels through ZZ Top, Gibbons has always had a love for Latin music, ever since he was introduced to the legendary Tito Puente. All these years later, Gibbons returned to those rhythmic roots for his first solo album with a handful of specially picked musicians as his backing band, dubbed The BFGs. The new 11-song release begins with the Santana-style flair of "Got Love If You Want It" as Gibbons sticks close to his guitar with the song's highlight being the electrifying solo. The album's first single, "Treat Her Right" has that Latin swagger as Gibbons incorporates that flair to swing around the dance floor, while "Pickin' Up Chicks On Dowling Street" brings you back to the "Eliminator" era with it's eighties vibe. Gibbons and The BFGs go full force into the Latin side of rock with the fueled energy of "Hombre Sin Nombre" and "Piedras Negras." Sandwiched in-between is Billy's rhythm-heavy cover of "Baby Please Don't Go," before closing with jazz fusion jam of "Q'Vo." While the tone of the album may stray from what ZZ Top fans are used to, it is a welcome addition to Gibbons' expanding palette of music. 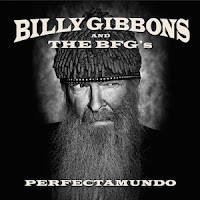 To find out more about Billy Gibbons and The BFG's latest album "Perfectamundo," please visit Billy's Facebook page at facebook.com/BillyFGibbonsOfficial. Connecticut duo Violent Mae, featuring Becky Kessler and Floyd Kellogg, are ready to release their latest album "Kid" in November. They recently performed in New York and Connecticut, and will be booking more shows upon the release of there new album. It begins with the climbing energy of the opener "In The Sun," which has the perfect alternative rock vibe that could easily crossover into the pop charts. The music grinds along with the fuzz-vibe of "In My Ring," but the duo also showcase their softer side on the quieter strumming of "Away." The attractive, stripped-down rock of "Kid" has bit of a bluesy element, before closing the album with the grunge appeal of "Neon Halos" and the guitar drenched "Birthday." 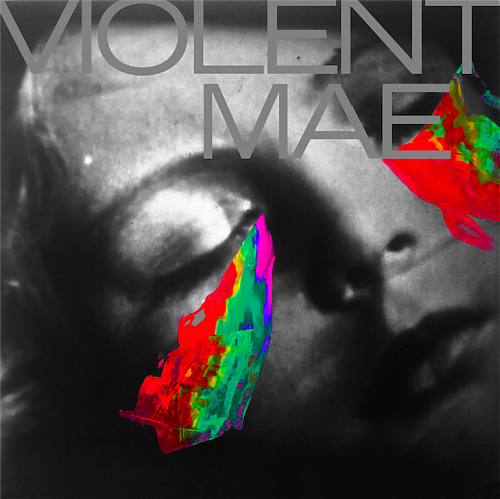 To find out more about Violent Mae and their new album "Kid," please visit their Facebook page at facebook.com/VIOLENTMAE. 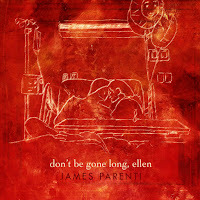 From New York comes the sophomore release from singer/songwriter James Parenti titled "Don't Be Gone Long, Ellen." He takes in his inspiration from fellow artists Elliot Smith and Sufjan Stevens and creates some outstanding songs with deep meanings. The new twelve song release begins with the dark tone of "Hope That You Will Come," which has a progressive folk/rock feel. The gentle delivery of "Cave In Burn Down" really has you concentrating on the song's lyrics, while "Come Apart" is folk gem that shines in today's over-polished pop world. The wonderfully fragile "Back To Sleep" is a steady lullabye and "Flight Distance" swings with just enough of a touch of jazz to give it rhythm. The album closes with the confessional "Lucky Star." To find out more about James Parenti and his new album "Don't Be Gone Long, Ellen," please visit his Facebook page at facebook.com/jamesparentimusic. 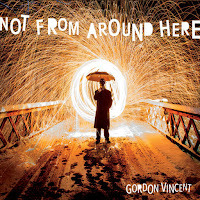 From New Jersey comes the latest release from Nashvillian singer/songwriter Gordon Vincent titled "Not From Around Here." After 12 years and six albums, Vincent packed up and moved to South Jersey to create his new exceptionally touching album. The new 8-song release begins with the warm tones of "Amboy" as Vincent's voice sound timeless amongst this modern folk backdrop. His song "Man With No Country" gives off an early Fleetwood Mac vibe, while "Dream On A Vine" has a special touch of honesty that comes through in Vincent's voice. The short 30-minute album finishes with the country vibe of "Fairest Of Them All" and the alternative pop/rock of "Space Monkey." 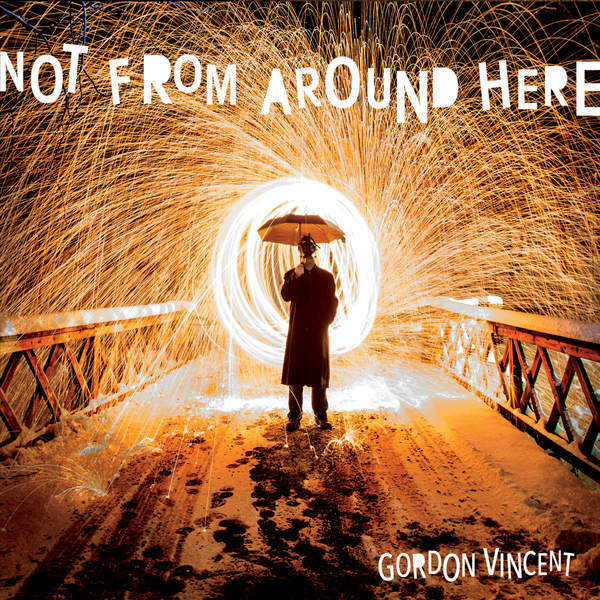 To find out more about Gordon Vincent and his latest album "Not From Around Here," please visit his Facebook page at facebook.com/GordonVincentmusic. 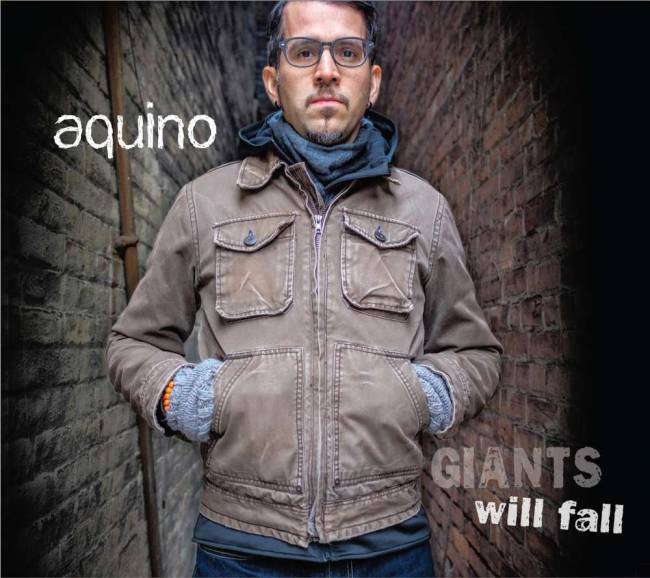 New Jersey native Aquino recently released his full-length debut album "Giants Will Fall." He has no shortage of songs, writing over 100 original compositions and created the "14 Songs in 14 Days" songwriting workshop and he was also nominated for the 2013 Jersey Acoustic Music Award for Top Male Songwriter. His new thirteen-song release begins with a short one-minute acoustic introduction before bringing in his Cuba-Rican roots into the Latin swing of "Song Of The Outcry." He gives us a touch of Americana with "Sadie" and quickens his strumming for the sing-along feel of "Before Long." His first single from the album is "Bud, His Astrovan, and Me" which is a great storytelling folk/rock gem that has an exciting sound. The album finishes with the quick-pace of "Giants Will Fall" and the experimental mood piece "Triumvir." 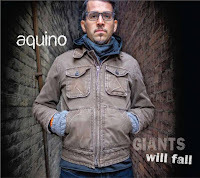 To find out more about Aquino and his new album "Giants Will Fall," please visit his website at michaelaquino.com. 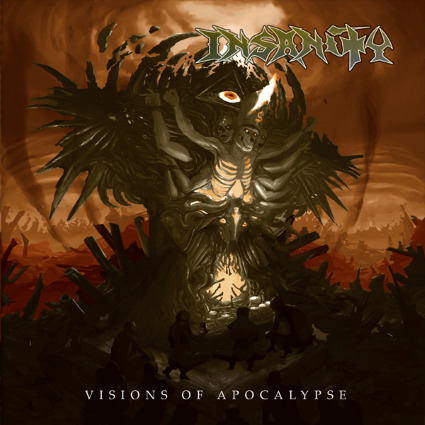 From the California bay area comes the death metal band Insanity with their first full-length album, "Visions Of Apocalypse," in over a decade. With 30 years behind them, the band has overcome turmoil to create one of their career defining releases. The new nine-song album begins with the outstanding musicianship of "Sacrefixion" as their sound gets drilled straight to your brain. The machine-gun rhythm of "When" and the electrifying guitar solo of "Sociopath" showcases the band's experience and they don't look to overpower you with shear speed. 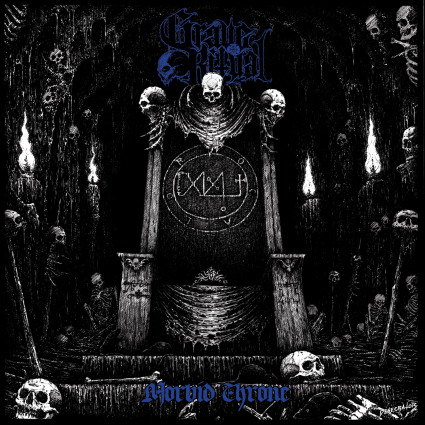 The howling vocals of "Disillusioned" and they adrenaline-fueled "Tired" shows that this band has a renewed sense of purpose to become one of the premier death metal bands on the planet. 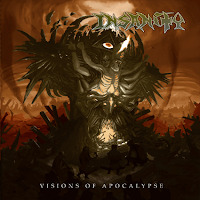 To find out more about Insanity and their new album "Visions Of Apocalypse," please visit their Facebook page at facebook.com/INSANITY. 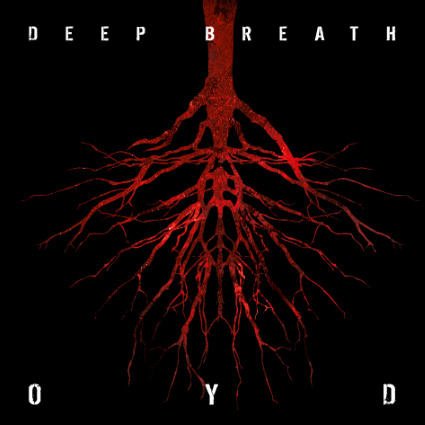 Finally we get to the debut album "Deep Breath" from the Greek hard rock band One Year Delay (O.Y.D.). The short seven-song release begins with the nu-metal appeal of "Gunpoint" as the chugging guitars lead the way. The screams of the chorus of "Headhunters" and the soaring vocals and alternative feel of "Miss You" showcase the diversity in O.Y.D. delivery swings between heavy metal and grunge music. 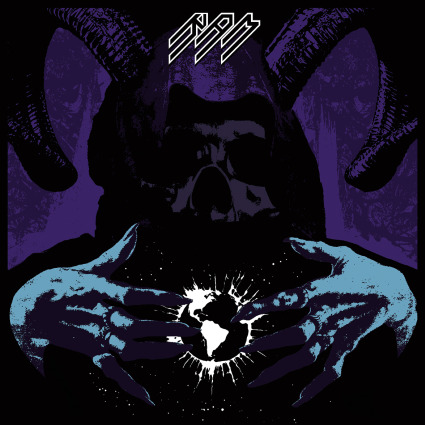 The album closes with the big hard rock sound of "5m, 9k" as they seemed to have mastered their high energy output to give their sound some originality. 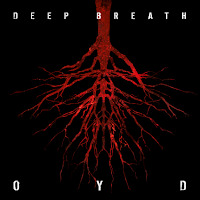 To find out more about One Year Delay and their new album "Deep Breath," please visit facebook.com/oydofficial. From L.A. comes the full-length debut album from Ships Have Sailed titled "Moodswings." The duo of Will Carpenter and Dan Hange are the brains behind their brand electro-pop/rock. The new eleven-song release begins with the slow build-up of "Drive" as they have the right balance of pop hooks and songwriting expertise. The have the perfect recipe for pop success with "Summertime" as you can easily find yourself singing along to the chorus. The stomp/clap rhythm of "If Only" is guaranteed to raise your spirits, while the two-minute "Criminal" is a great, but an all too short, atmospheric experimentation. The album finishes with the big arena rock sound of "Insomnia" and on the flipside we get the acoustic folk/pop feel of "Imaginary Friend." To find out more about Ships Have Sailed and their latest release "Moodswings," please visit shipshavesailed.com. From Chicago comes the latest release from singer/songwriter Luke Underhill. It features an unplugged version of his rock album "Atlas." This new release, "Atlas Unplugged" showcases the amazing vocals of Luke Underhill without any overdubs or extra instrumentation, as everything is stripped away except for a piano or acoustic guitar. Beginning with "Stars," the songs have a deeper meaning when they are done in this context. He brings to light his folk side with the depths his brings us in "The Working Man's Daughter," but he also still carries that pop sensibility with "No More Like Me." The short eight-song album closes with the wonderful heartfelt delivery of "To Love And Let Go." To find out more about Luke Underhill and his latest release "Atlas Unplugged," please visit lukeunderhill.com. From Louisville, KY we get the latest EP from singer/songwriter Nick Peay titled "Sobering." He combines his love for acoustic music with a "jam band" rock sound is in the opening numbers "Put This Bottle Down" and "Every Morning." The emotion of the music is easily portrayed through the music as he switches to a bluesier sound in "I Won't Fall In Love" and in the heartfelt ballad "Sobering." To find out more about Nick Peay and his latest release "Sobering," please visit nickpeaymusic.com. From New York comes the new EP titled "Killing Dinosaurs" from the punk rock band Bad Mary. The quick six-song album begins with the band pounding away at "Soapbox" as the vocals of Amanda Mac strive on the song's energy. The band continues to excite you with fast-paced rhythm of "Want What I Want" and the seventies punk-like fury of "Hanging Around." They finish with the raw, garage rock attraction of "One More Song." To find out more about Bad Mary and the latest release "Killing Dinosaurs, please visit badmary.com. From Chicago comes the latest release from the folk duo Trinadora titled "Trinadora Sounds." The new eleven-track release is an enlightening breath of freshness as the harmonies and simple, sometimes singular instrumentation, is all that is needed to convey the song's emotion. Beginning with the waltz-like movement of "Like The Waters Of A Bayou," the duo of Ron Holm and Jannie Nelson get things flowing with the song's up-tempo feel. Jannie's voice is beautiful in the piano ballad "Is It True?," while the Roy Orbison inspired "Should I Say It" is a lovely folk/pop gem. The wonderfully country vibe of "Dust" and the acoustic blues of "Thorn In My Heart" shows that this duo are more than a typical folk duo as they branch out into these other genres with much success. To find out more about Trinadora, please visit trinadora.com. Finally we get the latest EP from Chainflower entitled "The Broken & Lovely." This very short, two-song release has the LA rock band showing great excitement and potential with the grunge metal sound of "Lewd Blues." The flipside is a Dead Whether-type "Hell's Roll" is a raw rocker with a great rhythm, topped by the great vocals of Erika Renee. To find out more about Chainflower, please visit their Facebook page at facebook.com/Chainflowermusic. 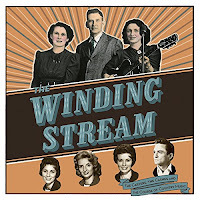 CD Review: The History Of Country Music Leads Us To "The Winding Stream"
Director Beth Harrington knew that the story needed to be told about the birth of country music and she also knew that a big influence in that creation came from the Carter Family. The new award-winning documentary "The Winding Stream: The Carters, The Cashes And The Course Of Country Music" will hit select theaters this fall and to go along with the film is the soundtrack featuring many of these original songs sung by The Carter Family along with many other classic country artists. The new sixteen-song release begins with John Prine performing the quick country/folk strumming of "Bear Creek Blues." The original performances of The Carter Family have been restored and remastered by Grammy award winner Michael Graves. The songs "Bury Me Under The Weeping Willow Tree" and "Keep On The Sunny Side" have never sounded better. George Jones performs the country standard "Worried Man Blues" and newcomers the Carolina Chocolate Drops give an honest performance to "Hello Stranger." Mother Maybelle, one of the first ladies of country music, gives a stirring performance of "Wildwood Flower," before Johnny Cash and The Carter Sisters perform the country gospel "Will The Circle Be Unbroken" in front of a live audience. The album finishes up with Kris Kristofferson and The Nitty Gritty Dirt Band laying down a little bluegrass swing to "Gold Watch And Chain" and Rosanne Cash giving a heartfelt acoustic delivery of "The Winding Stream." The soundtrack was released on October 16th through Omnivore Recordings. To find out more about the film and the soundtrack, please visit thewindingstream.com and also be sure to check out the Facebook page at facebook.com/TheWindingStream. One of the greatest movies to be released this year is "love & mercy," based on the life of Beach Boys' Brian Wilson. This heartfelt emotional delivery of this musical mastermind will have you realizing the obstacles that Wilson overcame to get his music out to his fans. 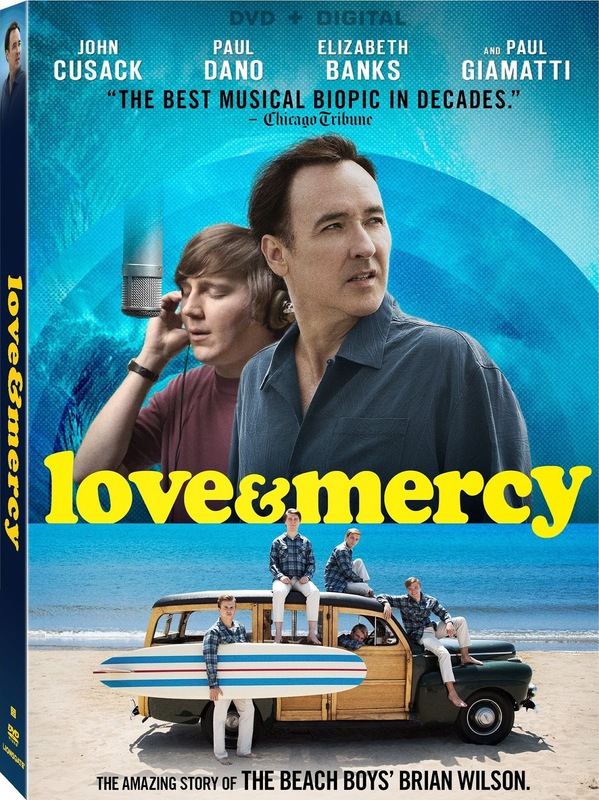 The movie was recently released on Blu-ray and DVD through Lionsgate and is the perfect opportunity for you to see the outstanding performances of John Cusack and Paul Dano as the musical icon, Brian Wilson. The movie deals with the difficult times in Wilson's life as the lead songwriter of the Beach Boys and latter on in his life, when he hit a low point in his existence after his metal breakdown. Paul Dano does an amazing job as the young Beach Boy, creating the masterpiece "Pet Sounds" and pushing the boundaries of pop music with his follow-up musical adventure "Smile." There are many iconic moments in Wilson's life that are handled in a delicate, but emotional way by Academy Award-nominated director Bill Pohlad. The film deals with the studio confrontations delicately, but beautifully between Wilson and fellow Beach Boy Mike Love (Jake Abel) and with Wilson's father Murray Wilson (Bill Camp) as it laid the groundwork for his metal instability, which leads to Cusack's career defining performance. The darkness and light in Brian Wilson's life are given faces as actors Paul Giamatti (Dr. Eugene Landy) and Elizabeth Banks (Melinda Ledbetter) wonderfully portray these real-life characters. Even though you already know the outcome of the story, you still can't help your emotions getting involved with the life of this musical mastermind. One of my personal favorite touches is the actual concert footage of Brian Wilson performing his song "Love & Mercy" to show how he overcame the difficulties in his life to continue to be a musical legend. 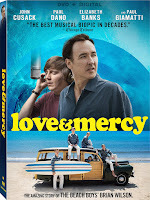 To find out more about the home video release of "love & mercy," please visit loveandmercyfilm.com. 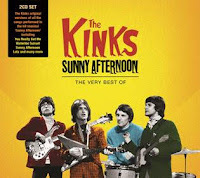 CD Review: The Kinks Find Renewed Fame With "Sunny Afternoon"
Back in April of 2014, a musical named "Sunny Afternoon," based on the life of musician Ray Davies premiered in London to rave reviews. Ray Davies was the band leader of the sixties British rock band, The Kinks, who found massive success early in their career with their hit single "You Really Got Me." On October 16, the BMG record label has gathered the original Kinks' songs featured in the musical to release a new "greatest hits" collection entitled "Sunny Afternoon: The Very Best Of The Kinks." Unlike other retrospective releases, "Sunny Afternoon" contains some of their lesser known hits, along with BBC studio versions and interviews with the band that were hand-picked by Davies to be included in this set. Disc one begins with the first ever single The Kinks every released, "You Still Want Me," which did nothing for the band on the charts back in 1964. Diehard fans of The Kinks will appreciate the inclusion of the early singles "I Gotta Move" and "Just Can't Go To Sleep," before hitting the more widely known hits "A Well Respected Man" and "Till The End Of The Day." In this release, you will rediscover the magic of The Kink's songwriting with pop gems like "This Is Where I Belong" and "This Time Tomorrow." One of the buried treasures of the first disc is a simplified demo version of "I Go To Sleep" from their second album "Kinda Kinks," then they close with "Tired Of Waiting For You" from the same album and "The Moneygoround" from "Lola Versus Powerman And The Moneygoround, Part One." Disc two begins with the title song of the musical (and this compilation), "Sunny Afternoon," followed by some of the best written songs in The Kinks' entire catalog, "Days" and "Waterloo Sunset." A dark-toned demo version of the rarity "Tell Me Now So I Know" is hidden between two up-tempo pop numbers "Who'll Be The Next In Line" and "Starstruck." 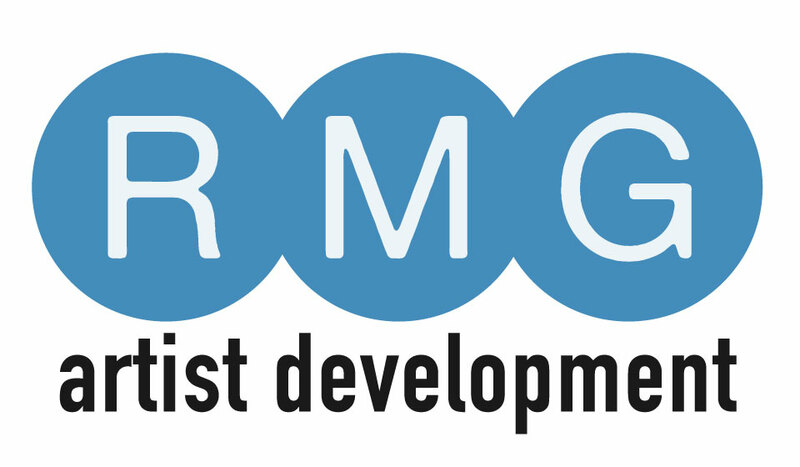 The second half of the disc contains the BBC interviews and session tracks that were picked to be included by Ray Davies. Highlights include an interview with Dave Davies and his song "Death Of A Clown" performed on BBC radio. The clarity on these recordings showcase the raw power that The Kinks portrayed in the studio. Since the opening of the musical, "Sunny Afternoon" over a year ago, it has won four Oliver Awards for "Best New Musical" and "Outstanding Achievement In Music." To find out more about this new Kinks' compilation "Sunny Afternoon: The Very Best Of The Kinks," please visit their Facebook page at facebook.com/TheKinksOfficial. 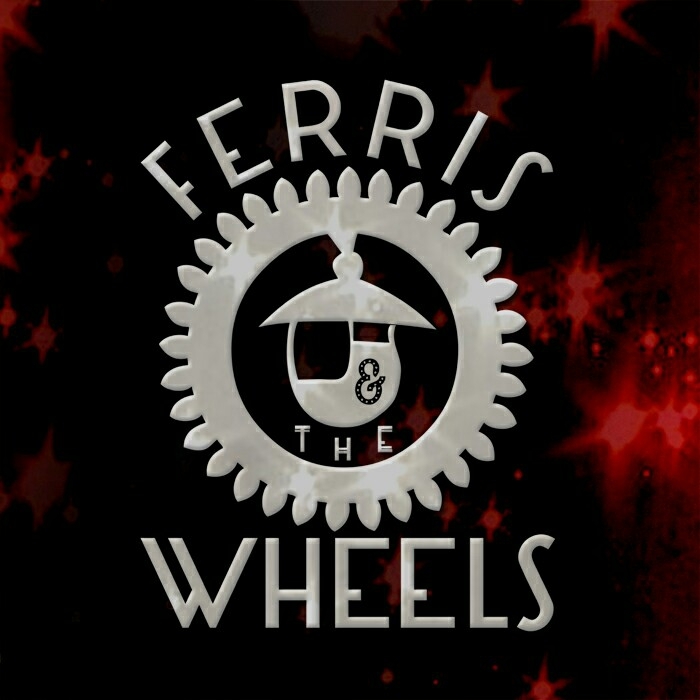 From Nashville comes the debut album from alternative rockers Ferris And The Wheels. The new six-song, self-titled release begins with the grunge-feel of "Stuck In This Dam Hole" as they bring together elements of punk, garage and classic rock to make a big sound. The music of "I Got Something" makes you stand up and take notice, while "Typical" has a "west coast" pop/rock sound. The album finishes up with "Found It," a swinging modern hard rocker that blazes a path of destruction with its fiery guitar solos. 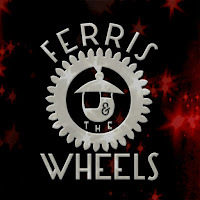 To find out more from newcomers Ferris And The Wheels, please visit ferrisandthewheels.com. 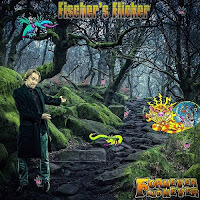 Chicago band Fischer's Flicker recently released their second album "Fornever And Never" back in August. Band leader Scott Fischer has created some new, exciting rock music with a vintage seventies vibe. Beginning with the bright, Elton John-like pop of "Black Mariah," Fischer's Flicker has the potential to create some timeless sounding music. They take on a cover of Alice Cooper's "Halo Of Flies" with some success, but the mystical eeriness of Alice Cooper singing it is lost, while the music is spot on. They move on to the inviting big seventies rock of "Emoticons," before experimenting with their sound on the punk/polka delivery of "Mrs. Rogers (& The Land Of Make-Believe)." The new eight-song release closes with the ten-minute Steely Dan-like, funk-rock of "Fornever" and the acoustic strumming of "This Little Heart Of Mine." 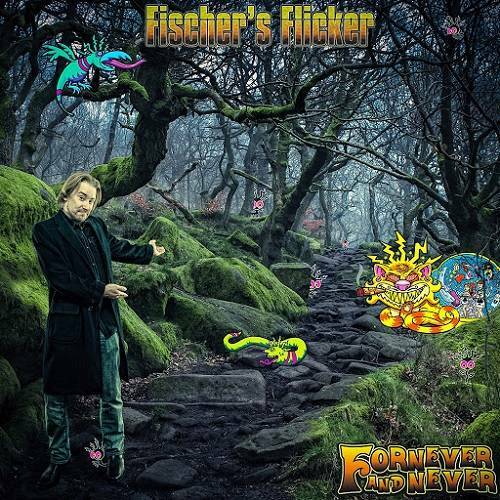 To find out more about Fischer's Flicker and their latest release "Fornever And Never," please visit their Facebook page at facebook.com/fischersflicker. 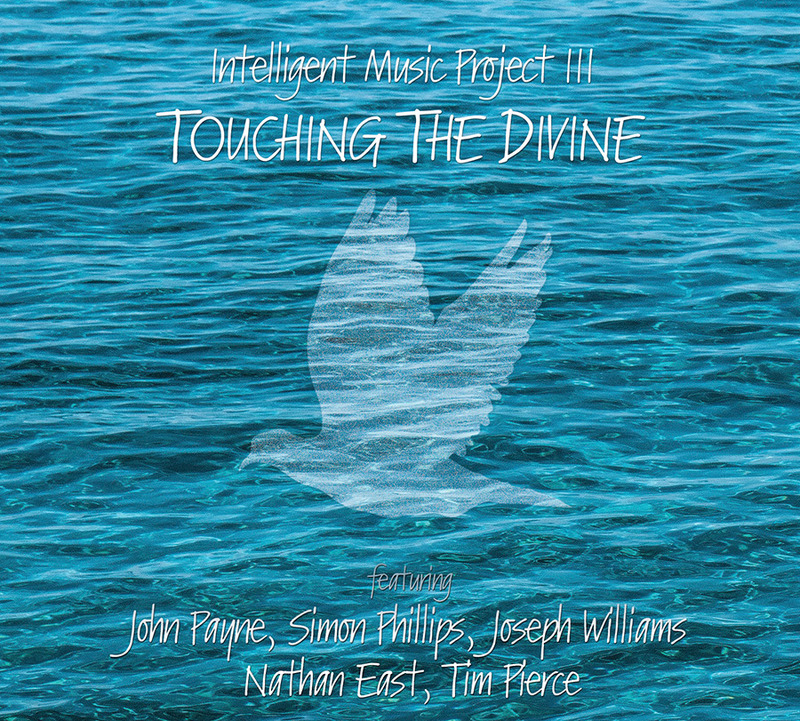 Producer and composer Milen Vrabevski fulfills his promise with the latest release from the Intelligent Music Project (IMP) with "Touching The Divine." The new album features the wonderful band that graced the last Intelligent Music Project with John Payne (Asia) and Joseph Williams (Toto) handle the vocal duties once again. The new 14-song release begins with the six-minute magical "Opening" as you are instantly swept away with the wonderful harmonizing and orchestrated rock musicianship. The gentle piano ballad "Escape" allows you recover, before heading into the progressive hard rock feel of "Sky." IMP mixes tempos and genres with "A Smile Away," then hit the right vibe with the guitar driven rocker "Simply Feels Good." They keep the energy going with "Coming Soon," then slowly build the tempo up for the contemporary feel of "Life," before closing with the 7-minute progressive rock adventure of "Mind Projection." 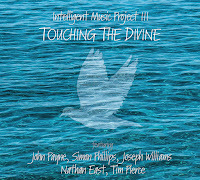 To find out more about Intelligent Music Project's latest release, "Touching The Divine," please visit intelligent-music.com. 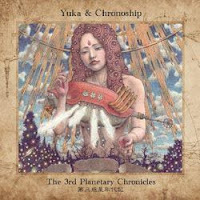 Japanese progressive metal band Yuka & Chronoship have just released their latest album "The 3rd Planetary Chronicles." It features twelve tracks of amazing instrumental music that is performed through the historical discoveries of Earth, beginning with the rhythm heavy "Stone Age." The music becomes enlightened with "Galileo I - And Yet It Moves," but becomes more focused in "Galileo II - Copernican Theory" as the music gets your mind to think. The eight-minute "Age of Steam" has a classic progressive rock feel, similar to Yes and Genesis. The piano ballad "On The Radio" leads into the energetic run through of "E=c#m," before finishing with Yuka & Chronoship combining their musicianship on the epic closure of "Birth Of The Earth - Embryonic Planet." To find out more about this latest release from Yuka & Chronoship, please visit their Facebook page at facebook.com/Yuka.And.Chronoship. 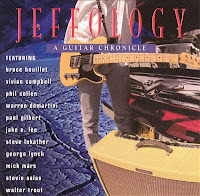 CD Review: "Jeffology" Pays Tribute To Jeff Beck While Tom Killner Hits The "Hard Road"
Guitarist Jeff Beck is arguably one of the greatest to have ever picked up the six-stringed instrument. He was inducted into the Rock n Roll Hall of Fame twice (The Yardbirds in 1992 & solo in 2009) and has definitely influenced a new generation of guitarists. On October 2nd, Cleopatra Records remastered and re-issued a guitarist tribute to Jeff Beck with "Jeffology: A Guitar Chronicle." The new eleven-song release begins with a blazing version of "New Ways/Train Train" featuring Warren Demartini (Ratt) shredding his way through the song. Paul Gilbert lends a hand to the classic Yardbirds' hit "Heart Full Of Soul," before Def Leppard's Phil Collen delivers the emotional "Cause We've Ended As Lovers." Guitarist Walter Trout gives his all to the "Blues Deluxe," then Jake E. Lee rocks the foundation with some "Rice Pudding." Toto's Steve Lukather adds some rock vibes to the Latin-based feel of "Behind The Veil" and Motley Crue guitarist Mick Mars gives an amazing, energetic close to the album with "Happenings Ten Years Time Ago." 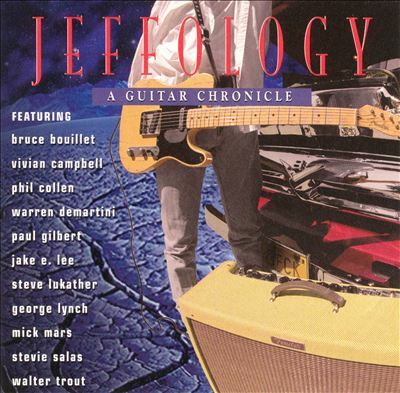 To find out more about the new re-issue of "Jeffology: A Guitar Chronicle," please visit cleorecs.com. 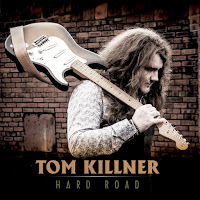 U.K. bluesman Tom Killner recently released his debut album, "Hard Road" through Cleopatra Records. It mixes together cover songs with some originals as Killner puts his blues stamp on every song, turning them into a style all his own. The new eleven-song release begins with the raw blues-shuffle of "Comin' Home" as Killner's vocals are a little reckless during the opener. He draws upon the gospel feel of "Ain't No Rest For The Wicked," tearing through an electrifying guitar solo, before settling down for an amazing cover of "Feeling Good." Killner draws upon the funk of "Fake It," then brings you along for the seven-plus minute ride of the slow blues of "Hard Road." He drops a jazzy rhythm to the Chicago-blues feel of "Whiskey Haze," then heads to close the album with the classic, southern rock of "Midnight Call." Tom Killner and his band have some shows scattered around the U.K. for the next couple months. 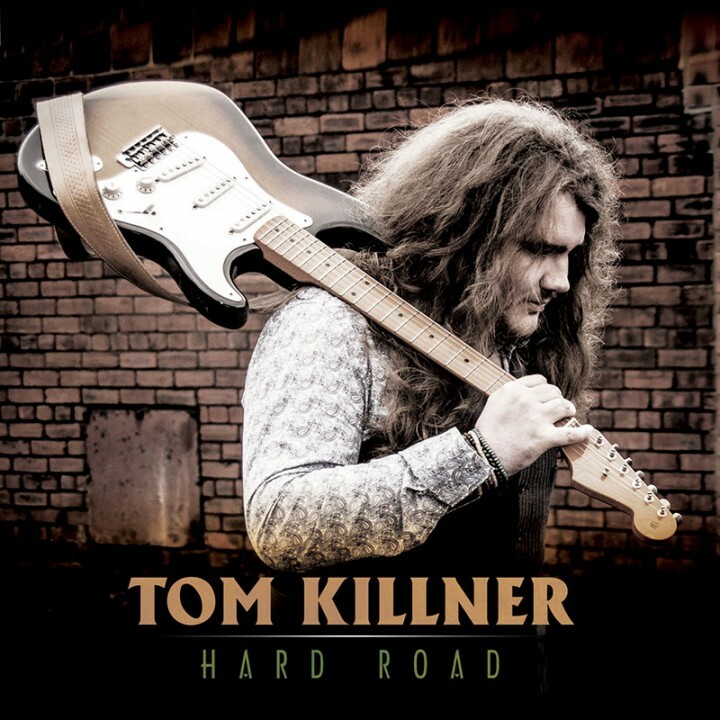 To find out more about his new album "Hard Road," please visit tomkillnerband.co.uk. 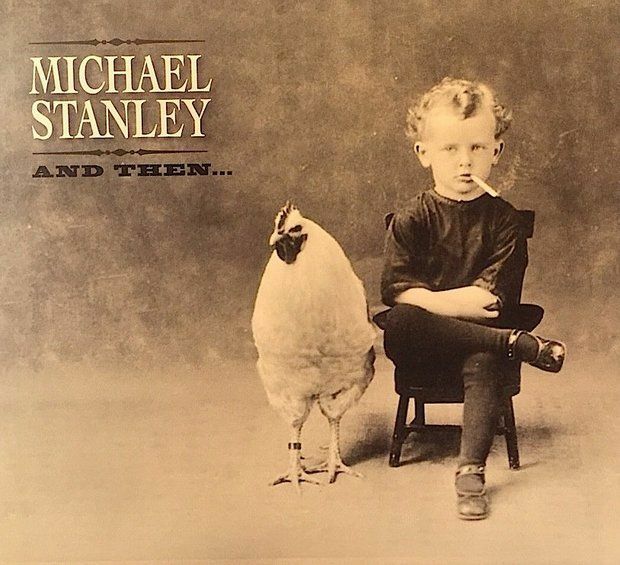 Singer/songwriter/guitarist Michael Stanley will be releasing his latest solo album, "And Then..." on October 16th through Line Level Music. Stanley is backed by members of his road band, The Resonators, on this latest release of some his strongest material of the last twenty years. The new album was produced by Stanley and mixed by the legendary Bill Szymczyk (The Eagles, The Who, Santana). The new thirteen-song release begins with the big arena rocker "All Together Now" as Stanley's voice sounds vibrant, with a bit of a Springsteen-type strength to it. The country-rock appeal of "Radio Waves" will not disappoint long-time fans of his music as this should be a hit single on country radio. The rock ballad "And Then" showcases some of Stanley's best songwriting, while "Snakes" is a great southern rocker fueled with aggression and energy. Singer Jennifer Lee lends a hand to the gentle acoustic feel of "Long Ohio Winter," before returning to the classic seventies rock of "Hand On To This Heart." The album closes with the emotional delivery of "In Your Kiss" and the wonderful country sounds of "Circadian Rhythm." To find out more about Michael Stanley and his latest album "And Then...," please visit michaelstanley.com. 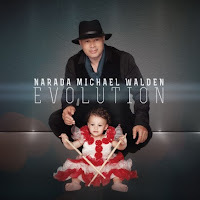 American award-winning singer/songwriter/producer Narada Michael Walden is releasing his new album "Evolution" on October 30th. Walden has worked along side many of the greatest artists of all time, including Aretha Franklin, Stevie Wonder, Elton John and Lionel Richie. He has won Grammy awards for Producer of the Year, Album of the Year, R&B Song of the Year and Billboard magazine named him one of the "top ten producers with the most number one hits." He released his first solo album in 1976 and this latest release with mark his thirteenth album. He also returns to his dance roots with the club beats of the album's first single "Billionaire On Soul Street." He adds a disco vibe to Richie Haven's "Freedom," while "Song For You" has a great modern R&B groove. Walden sounds as if he is conflicted between modern dance beats and seventies soul in The Commodores-style of "Tear The House Down," before finding his pop side with "Me And My Girl." He take on The Beatles' "Long And Winding Road" with such grace, that you wish there was more to come of this seasoned artist. To find out more about Narada Michael Walden and his new album "Evolution," please visit naradamichaelwalden.com. 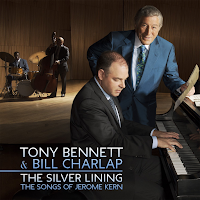 CD Review: Tony Bennett Delivers "The Silver Lining" As Nicole Glover Gives Us Her "First Record"
The ageless singing wonder that is Tony Bennett recently released his latest album through RPM/Columbia Records entitled "The Silver Lining: The Songs of Jerome Kern." This release follows the wildly successful duet album that Bennett recorded with the talented Lady Gaga, which won a Grammy for "Best Traditional Pop Vocal Album." His new album has Bennett teaming up with acclaimed jazz pianist Bill Charlap to perform the works of Jerome Kern, who created some of the most important compositions of the 20th century. The new fourteen-song release begins with "All The Things You Are" as you enjoy the simplicity of just having Bennett's voice amongst a backdrop of Charlap's piano. Then the energy picks up with the wonderful trio of Charlap on piano, Peter Washington on bass and Kenny Washington on drums in "Pick Yourself Up." But, one of iconic songs in this set is Bennett's vocal delivery of "The Last Time I Saw Paris" as he continues to dazzle in "Long Ago And Far Away." Charlap shares the piano duties with his long-time partner Renee Rosnes on the beautifully elegant "The Song Is You," before picking the tempo back up with the swing of "I'm Old Fashioned." The album finishes with the inspiring rendition of "Look For The Silver Lining," which has Bennett sounding as good as ever. 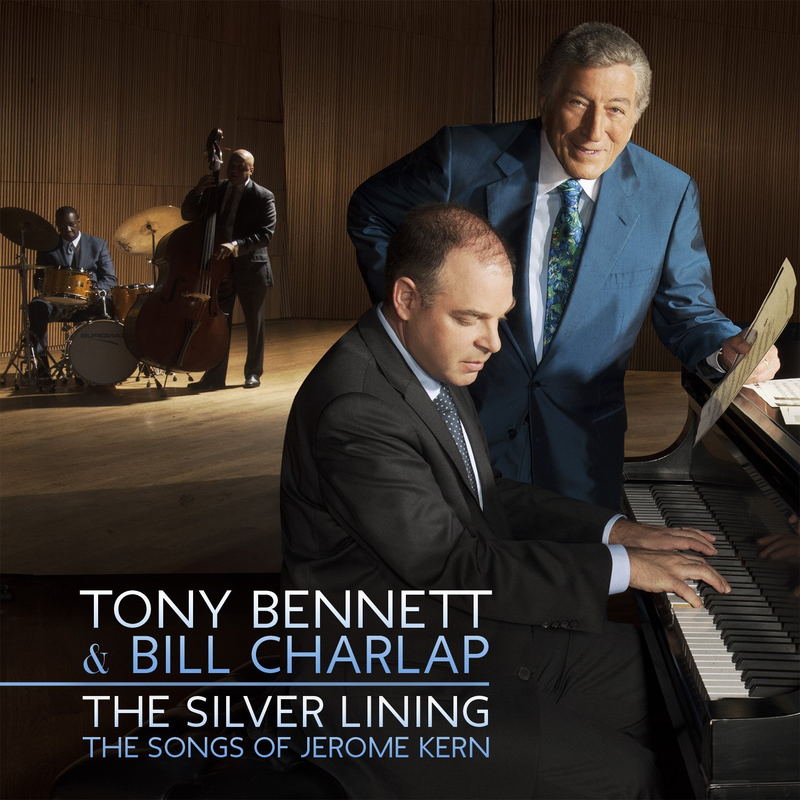 To find out more about Tony Bennett's latest release "The Silver Lining: The Songs Of Jerome Kern," please visit his website at tonybennett.com. From New York City, via Portland, Oregon, comes the debut album from Nicole Glover titled simply "First Record." It features eight jazz instrumentals with Nicole on sax, George Colligan on piano/trumpet, Jonathan Lakey on bass and Alan Jones on drums. Beginning with the "Water Ritual," you begin to get settled into Nicole's free form jazz world as her performance definitely becomes the main focus of the song. The soothing delivery of "Waning And Waxing" is magical as Nicole's tenor sax and George's piano perform the perfect musical dance. The energy picks up with "Marshmallow" and continues through "String Quartet In F," which teeters on the verge of controlled chaos. The album closes with the gentle sway of the "Tennessee Waltz." 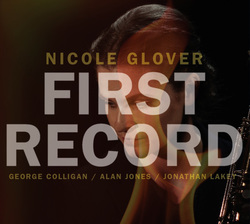 To find out more about Nicole Glover and her latest album "First Record," please visit nicoleglover.com. CD/DVD Review: Big Legal Mess Brings Us "The Life And Music Of Denny Lile"
Louisville, KY singer/songwriter Denny Lile was a local hero on the verge of breaking through to the mainstream when drinking and depression ended that dream. Denny's only escape was music. He was in a number of bands through the late-sixties, early-seventies, before releasing his first solo album, "Hear The Bang" in 1973. The album has been compared to Neil Young's "Harvest," but never caught the attention of FM radio. The closest he came to fame was when country star Waylon Jennings recorded Denny's song "Fallin' Out" and made it a country hit in the late-eighties. Denny would not be able to escape his alcoholism and it caused his death in 1995 at the age of 44. On October 16th, Big Legal Mess will release Denny Lile's debut album for the first time on CD at the request of company head, Bruce Watson after discovering the buried gem. Accompanying the CD is a documentary DVD of the life of Denny Lile. It features interviews with some of Denny's former bandmates, producers, friends, family and other fellow musicians. The DVD digs deep into Denny Lile's musical journey, which returned him to Louisville over and over again, whether it was by choice or by chance. The CD consists of sixteen-songs, beginning with the title-song, "Hear The Bang," a wonderfully warm acoustic story that finds its way to your heart. His country aspects come through on "Oh Darlin'," while "Love Is On A Freight Train" is so gentle and calming that you wonder how Denny never made it big. His song writing simply amazes with "Rag Muffin" and "After All" as he had the talent and the voice to cross genres between country, folk and rock music. The album finishes with hard feelings of "Good-Byes And Other Sad Things" and the experimental psychedelic folk of "Cause You're Mine." 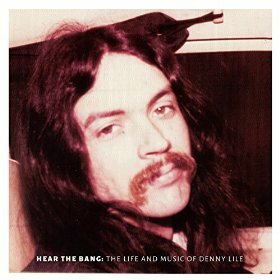 To find out more about this new release "Hear The Bang: The Life And Music Of Denny Lile," please visit biglegalmessrecords.com. "Rock is Dead!" That is a statement that has been going through the music press recently, but according to the sold-out show at Mohegan Sun last night, hard rock/heavy metal music is alive and striving in Connecticut. Four bands occupied the stage for almost five hours of some of the best heavy metal music around. A couple of newer band started the night off, each performing for about 30 minutes. From Ashes To New got the early arriving crowd worked-up with their dual-vocalists and hard rock grooves. The female-fronted band, In This Moment, followed with a very theatrical spectacle that was more about the costumes and the stage appearance, than about the music. But, all would be rectified with the upcoming highly-energized 75-minute set from Papa Roach. These Californian hard rock giants brought their best to the arena, beginning with "Face Everything And Rise" a song from their latest album "F.E.A.R." They had the standing-room only audience on the floor and fans in the upper sections jumping on command to "Warriors" as lead singer Jacoby Shaddix made his way through the seats, high-fiving fans along the way. They introduced to many, including myself, the "wall of death" where the crowd separates down the middle and at the beginning of the song "Blood Brothers," go running into each other, creating one of the biggest mosh pits you have ever seen. Papa Roach brought the volume down, performing an acoustic version of "Scars," before inviting In The Moment's front-women Maria Brink to perform the band's latest single "Gravity." Their set closed with the crowd going nuts, singing lead vocals on their break-through hit song "Last Resort" and the quick-hitting "...To Be Loved." The rumor all evening was that the headliner, Five Finger Death Punch was filming a new video during the night's performance. They blasted onto the stage with the one-two punch (no pun intended) of "Lift Me Up" and "Hard To See." A camera crane would constantly swing over the audience, capturing the energy of "Never Enough" and "Got Your Six," from the band's latest album of the same name. Guitarist Jason Hook, drummer Jeremy Spencer and lead vocalist Ivan Moody would fool around, performing snippets of Metallica's "Enter Sandman" and Ozzy Osboure's "Crazy Train," before honoring the troops with their cover of "Bad Company." 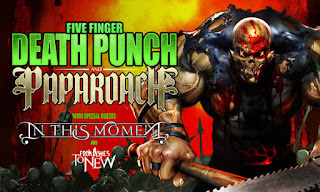 After their showing their emotion for their fans, allowing the acoustic sing-along of "Wrong Side Of Heaven" and "Battle Born," Five Finger Death Punch would return to their hard-hitting ways with "Coming Down" and "Under And Over It." Then the announcement came from Moody that were going to shoot a video for their new single "Wash It All Away." So, with the band in place, a recorded version of the song played through the speakers as the crowd went crazy, trying every opportunity to be in the video. The energy in the arena was amazing as they closed the night with the power of "The Bleeding." 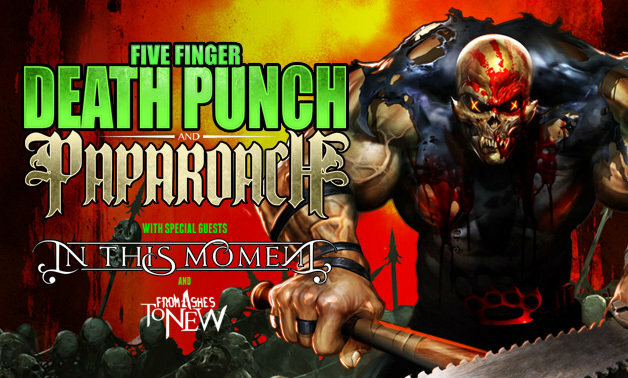 Five Finger Death Punch and the other bands that evening proved that rock music may have a younger audience, but that the message of "Rock Is Alive" is a timeless, ageless message.